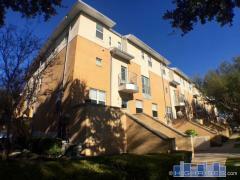 The Warrington Condos of Dallas | 3831 Turtle Creek Blvd. The Warrington has spacious homes and some of the largest terraces in the city. You'll find many various architectural styles at The Warrington too as many of these homes have been customized... from classic luxury to ultra-modern. This is a full-service building as well and the amenity list is long. Keep in mind when you see the HOA dues that they include heating and A/C. Have any comments or questions about The Warrington? Ask your question and/or share your thoughts about this Building.